He’s heartsick and battle weary. 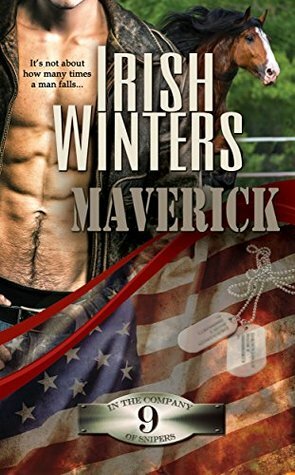 Maverick Carson returned home from war with too much pain and not enough honor. Searching for a way to forgive and forget, he quits The TEAM. He's in Wyoming when the sight of a pretty girl atop a massive draft horse steals his breath—until the hillside gives way beneath beast and maiden. When he rushes to her aid, he runs straight into the world of China Wolf, the headstrong owner of the Wild Wolf Ranch and the owner of the finest Percherons in the country. Never has. China Wolf has responsibility enough between the rowdy horses she loves, the wayward sister she tolerates, and the precocious niece she adores. Besides, Maverick’s made it clear he’d rather hit the road. Why should she care? She doesn’t—not until she glimpses the cowboy in his eyes. Maybe she needs a man after all. So it is an established fact that I love this author and the In The Company of Snipers series, each of these characters have taken up residence in my heart and have become special 'friends' to me, as you all well know Harley being my long time favorite. That said, Irish Winters, you have ruined me with Maverick, ruined me in the very best of ways. I went into Maverick with some trepidation, much like I did when I got my hands on Gabe's book, (yeah, these last two in the series have been hard reads) I couldn't see how you were going to make this work. These books have always been about The T.E.A.M., yes each book revolves around one couple but in the end it is always about the family that is Alex Stewarts hand picked group of dedicated, more often than not broken ex Marines and Soldiers. So when I read the synopsis, when I knew that Maverick was literally walking away from The T.E.A.M. I couldn't fathom how this would all work out. How can you take The T.E.A.M. out of the equation? I am so very happy to tell you, with out really telling you anything at all because I just don't want to give it away, that it all works and it works beautifully. Maverick's book has burrowed itself right up next to Harley's in my heart and the best part about that is how unexpected it was. You've heard me say in the past that reading a particular book was like watching a movie and not that I couldn't see this one as a movie but there was something even more powerful about Maverick's story. It was like seeing snap shots of pictures, of having been in those moments, having lived them, breathed them, and loved in them. This book was plain and simple, visually stunning. Irish's words and descriptions roll like waves across your mind, painting pictures so clear and beautiful that I not only spent half my read with emotional tears in my eyes but also having eyes that were glassy with unshed tears from the simple beauty that was before me. The imagery was literally breath-taking to me. "The sound of hooves on hard-packed dirt drew nearer. In seconds, galloping draft horses, their heads held high with manes tossing in the breeze, zeroed in on the gate. Most were the same reddish-brown with black manes as Star, but one was nearly pearlescent with a white mane, the dappling on its hide nearly imperceptible. A glossy, coal black fellow with a coat that glistened in the early evening light galloped in." Not only was Irish able to take my breath away visually but emotionally I was lost to the story. Maverick will both melt and break your heart. China, what an amazing character she is. Strong, beautiful, so unbelievably caring...you fall in love with her the moment she crosses the first page and Kyrie...what a sweet baby girl, I can't even go there with you guys with out tearing up again. Irish Winters took a risk with this one. Her evil characters are the kind of evil that makes you skin crawl, they are the kind of characters that if not done just right can ruin a book because they are so hard to comprehend, their behavior so hurtful, cruel, and ugly...if not done well they could have simply come off as unbelievable and outlandish but Irish nails it with this pair. As far as Leezel I have never both hated a character so much and wished for them to some how be 'fixed', of course only to rot in jail...but that is a whole different thing, haha. Separating a good portion of the story from The T.E.A.M. was also a big risk as well, but it truly works out beautifully and coming back to them all in the second half of the book only makes seeing them all again that much sweeter. Getting to catch up a little on each of our favorite couples and seeing them all rallying around one another just brought a smile to my face, a sorely needed one...this book is a tear jerker, but in the best kind of way. I hope that you will pick up this book, it can be read as a stand-alone but I HIGHLY suggest reading the whole series from book 1 onward. If you chose not to you won't be disappointed, you won't be confused but you will be missing out on some wonderful moments. 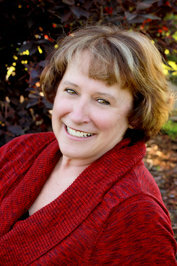 These books are for anyone with a love of Contemporary Romance. They are military based characters, but that doesn't always play a huge roll in each book. There is quite a bit of action and suspense and of course love....they are in the end beautiful love stories that revolve around an ever growing and wonderful family of friends! Today instead of just leaving you with a ~ Happy Reading~ I'd like to take a moment to say thank you to all our Soldiers, Sailors, Marines, and Airmen. The men and women who have fought for our country and for their own countries are in my heart and thoughts today, Veteran's Day! I hope that you each might take a moment to thank a Veteran or Active Duty Service man or woman today. Thank you to Irish for writing such wonderful stories about Military Veterans, especially the ones that struggle the most after their service (Harley, you will always make my heart hurt and smile), and also for about the people who love them though it all! 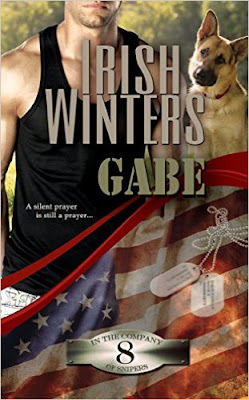 On Saturday and Sunday, November 14th and 15th in celebration of Veteran's Day Irish is also making book 8 in her In The Company of Snipers series, GABE free! Make sure to hop on over to Amazon and get it! Look out the window and see something! I love you to pieces, Malissa, but you already know that! I am so glad I can tell you now just how much I loved this story. <3 Thank you!